Watch a Salesforce Billing demo now. Automate your sales ordering and billing process, and connect your sales teams to finance in the process. 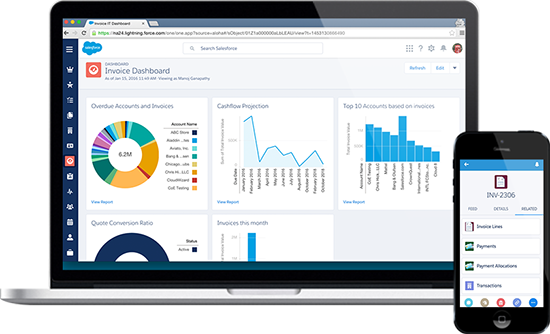 With Salesforce Billing, you can seamlessly integrate your invoicing, collections, taxes, and reporting into one platform, all within Salesforce. In addition, Salesforce Billing can manage revenue and billing for subscriptions, one-time billing, and usage-based billing scenarios.